Our AGM this year will be a little different to previous years. 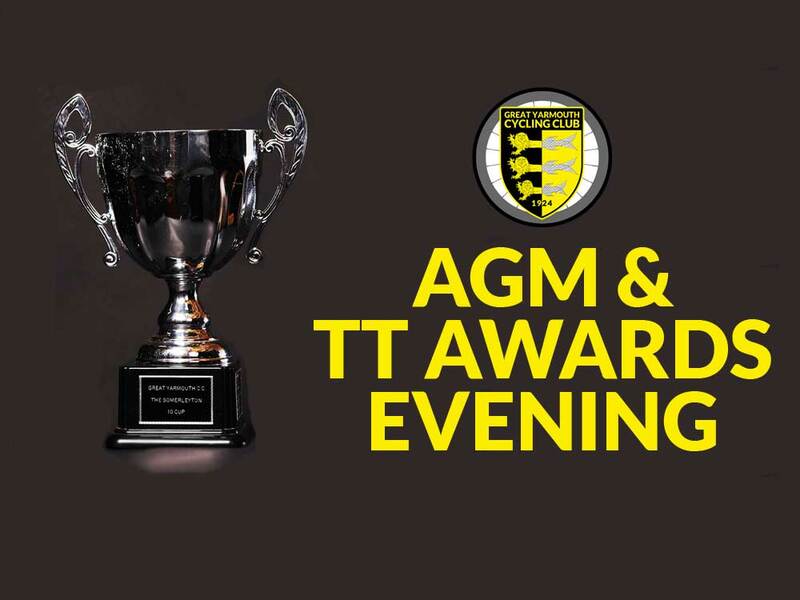 We are going to be hosting our TT awards evening and AGM together, rather than as two separate events. The venue is the Rumbold Arms (Southtown Rd, Great Yarmouth NR31 0JX) on the 9th November. AGM will be at 7pm and the TT awards starting at 8.30pm. You can bring things up on the night, but it can be helpful to contact the committee if you have anything you’d like to raise at the AGM – makes answering things a little easier. In addition to AGM agenda items can you think about nominations for the Memorial Shield. This is awarded each year for services to the club. Please send nominations to Linzi. There will then be a secret vote at AGM.